Like Jasper said....once on Feb 1st you have a significantly incomplete build to post as your starting point. If all that's left to do is a wash for example I'd have to reject it. Ok, Sean, thanks for the clarification. I'm in. I'll post up pics tomorrow for the Mig-29 that's been 16 years in the making. 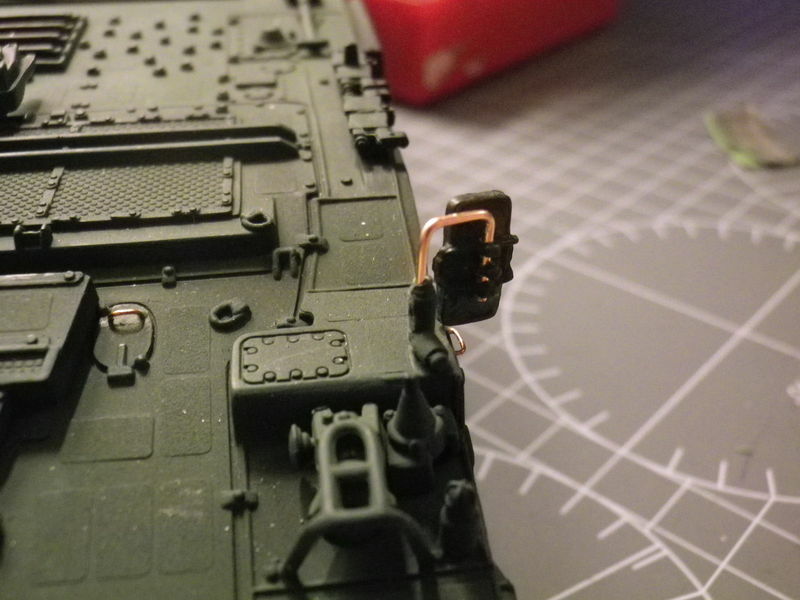 The joystick went flying from the tweezers, never to be seen again, and instead of getting "incredible hulk" on the kit I calmly boxed it back up, cursed model planes, and put it on the shelf. And speaking of wives and such, I just increased my kit stash by 125% so I should start building a bit more. 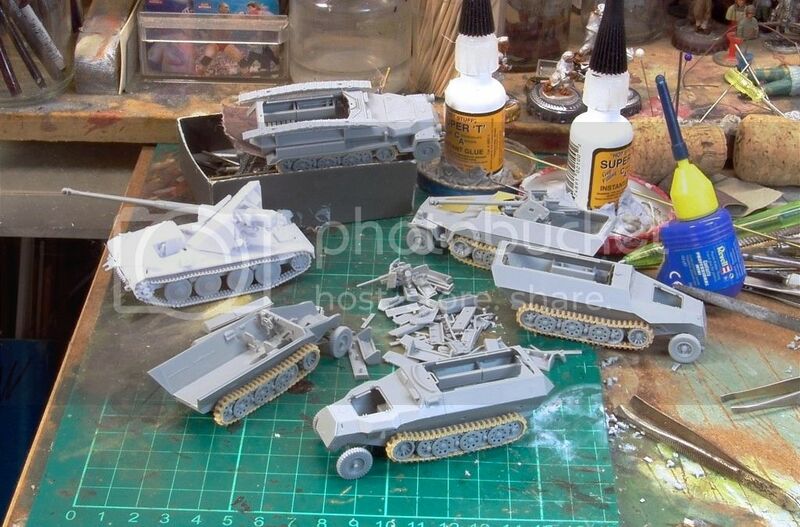 After some comments from the kid, I'll start my unfinished work with an AT-AT that is primed gray but needs white and a dio base. 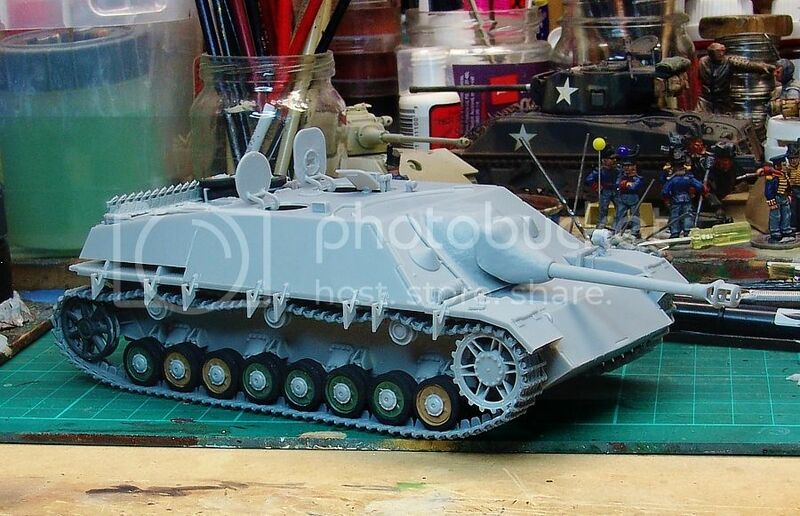 AFV Club's Wiesel has been sitting at this point for 3 moves and most of ten years. The prime portal pictures have been super helpful and motivating. A little progress here tonight. Tracks on, headlights painted, and gloss put down for the decals. This thing is TINY. 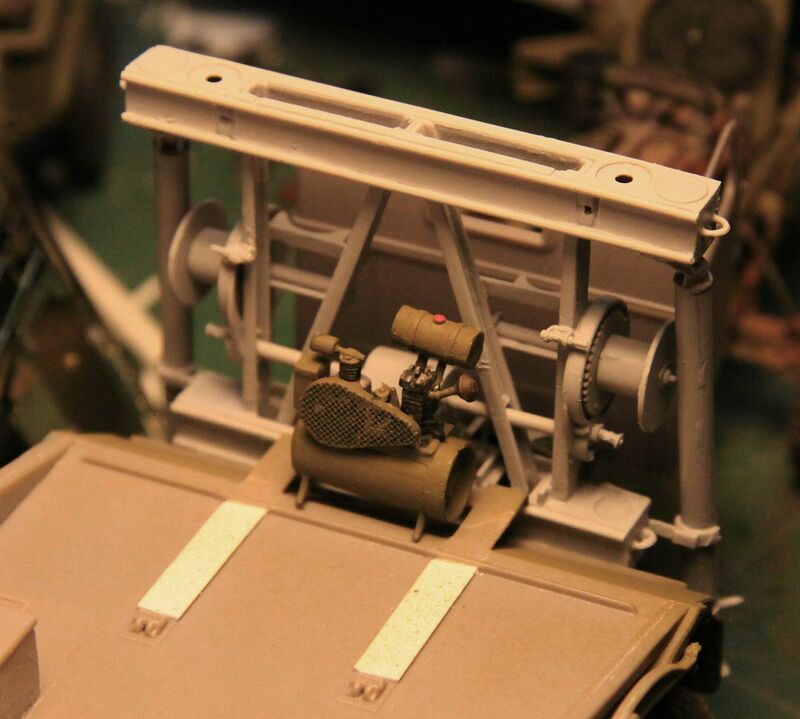 The tracks will need some glue to hold them against the bottom of the roadwheels. Here's the walker, primed gray. I was going to do a snow scene but to be different I think a desert tone would be more interesting. Nice looking build. 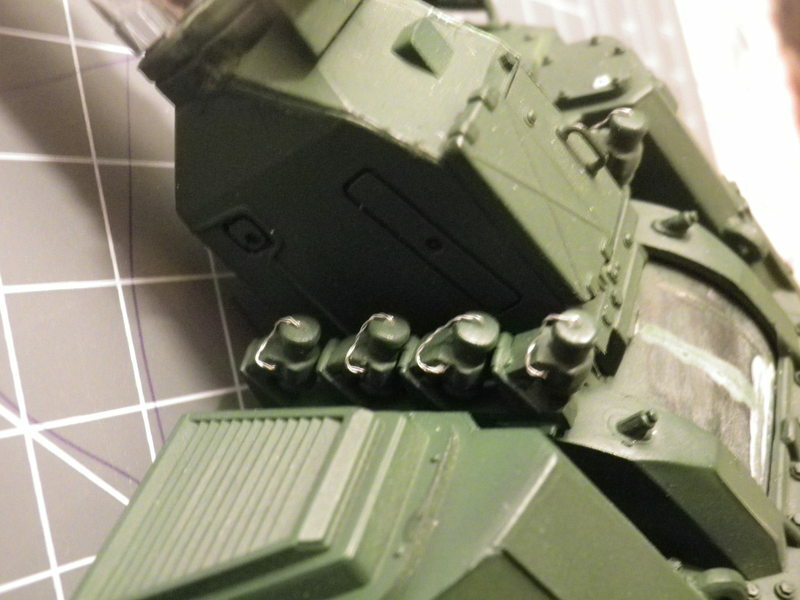 Non-canon cammo schemes are fun. If ever there was a kit in need of re-issue, here it is! I had high hopes Fine Molds would eventually get around to it, but now that Bandai has the rights AND had an AT-ST announced, there is still hope. 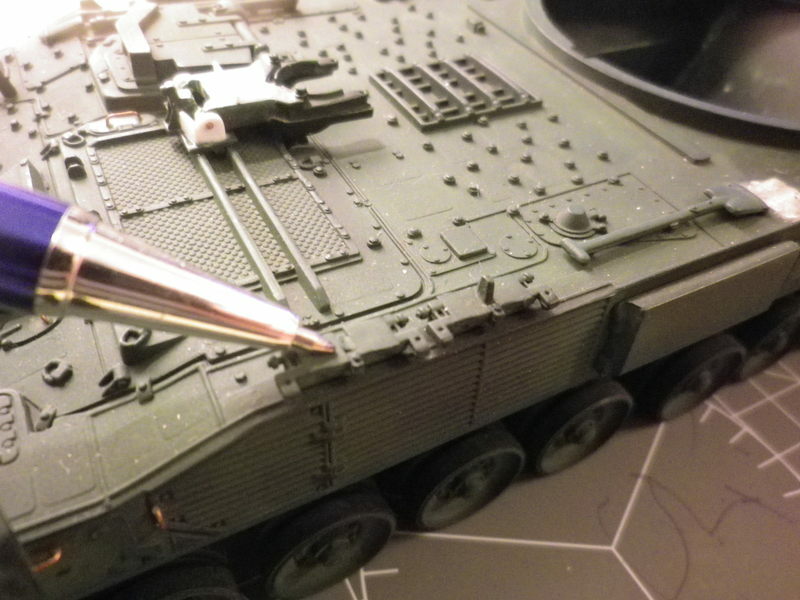 Hi, I`m in whit a Revell PzH 2000. 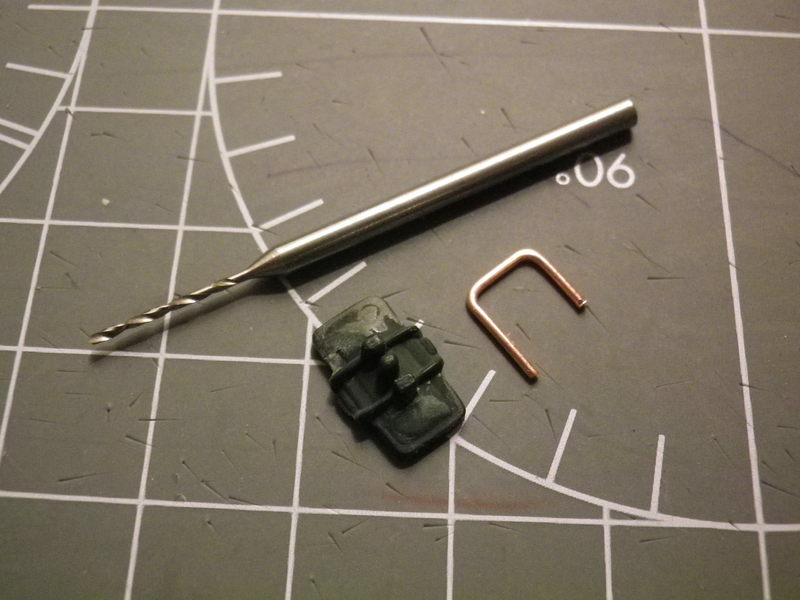 Build OOB whit some selfmade parts. Have got them from a frend, allredy "started/finished"?? 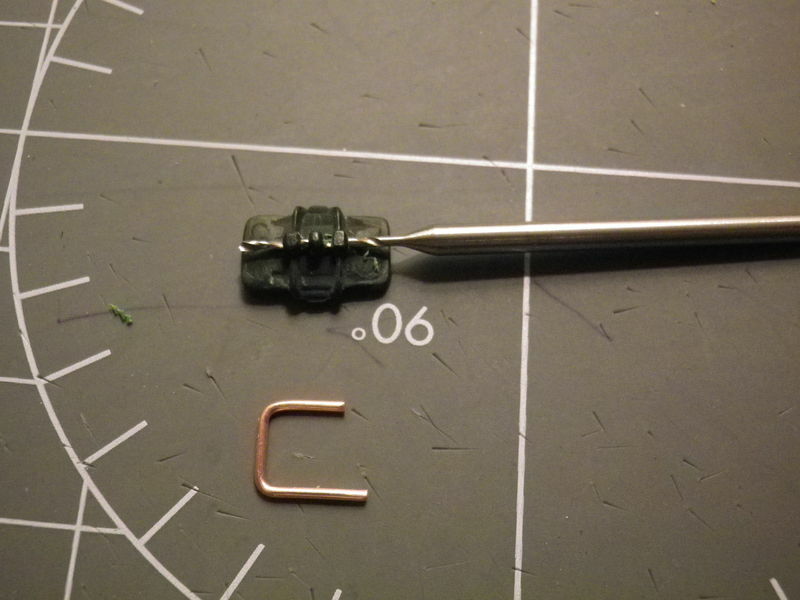 Then fallows a little unbuilding, and a new buildup whit selfmade parts. 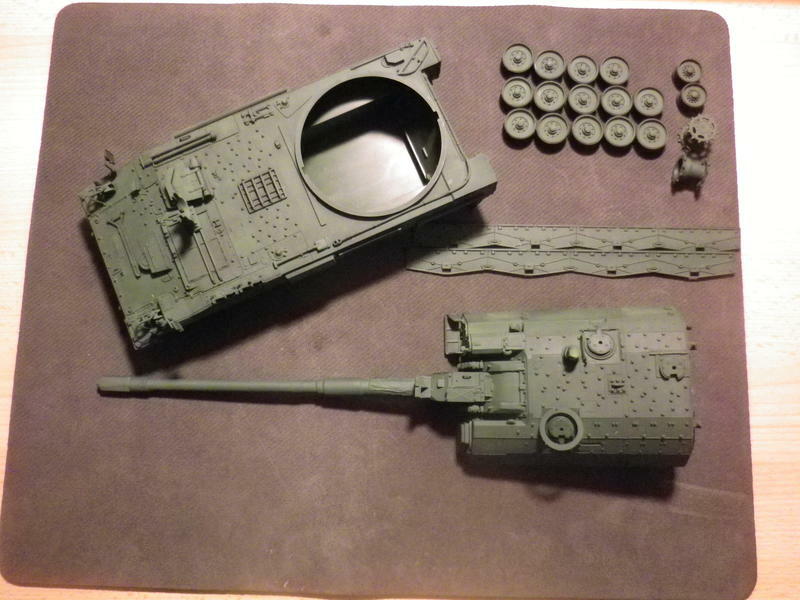 Next day`s I´ll build Bronco track´s. 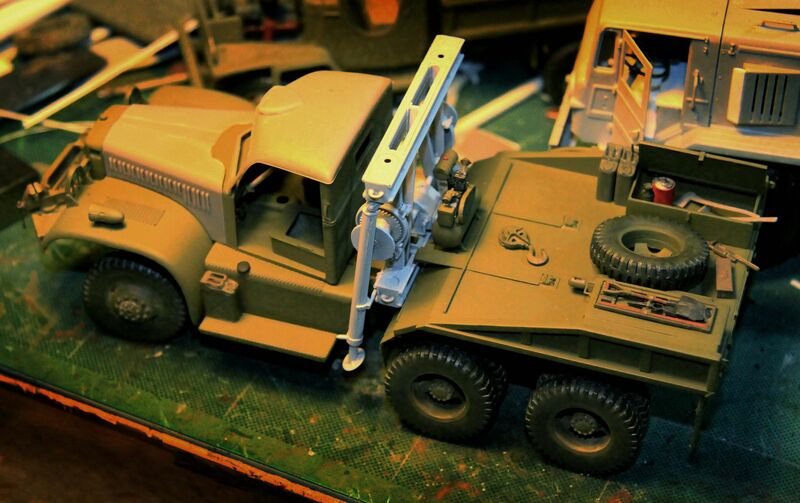 Nice detailing so far Viktor! 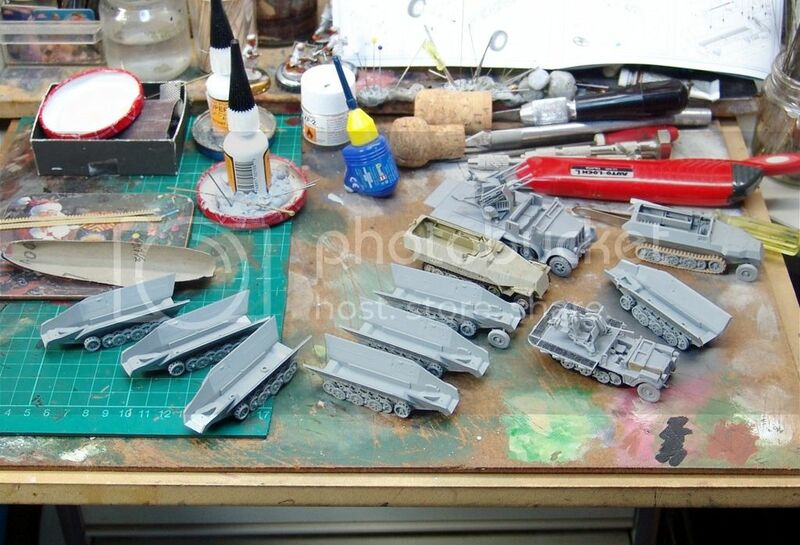 My first builds will be to finish these that got started during the 251/halftrack campaign. RL got in the way and the project stalled. 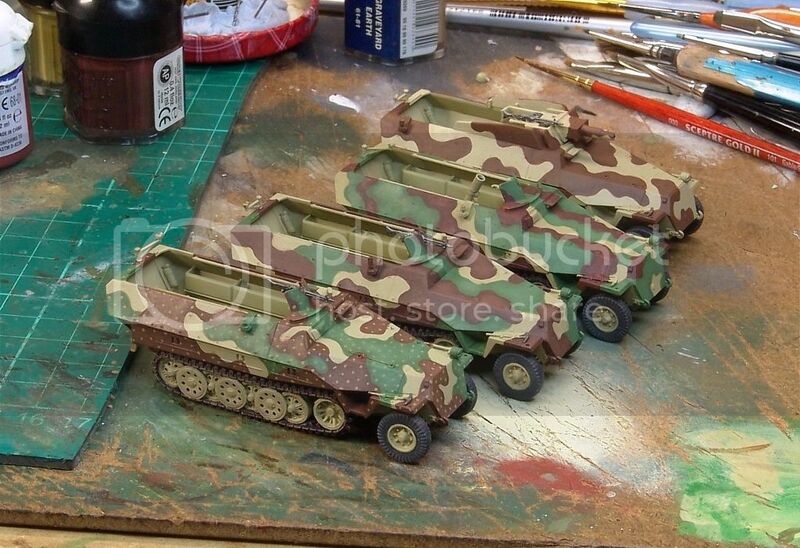 I hoping to get 4 of the 251s and the 2 SPAA tracks completed this week as they're partners for some Panthers currently being finsihed . . .
Hi All, Is this going to be the official forum for this campaign? I have some figures I started about 2 years ago and left. 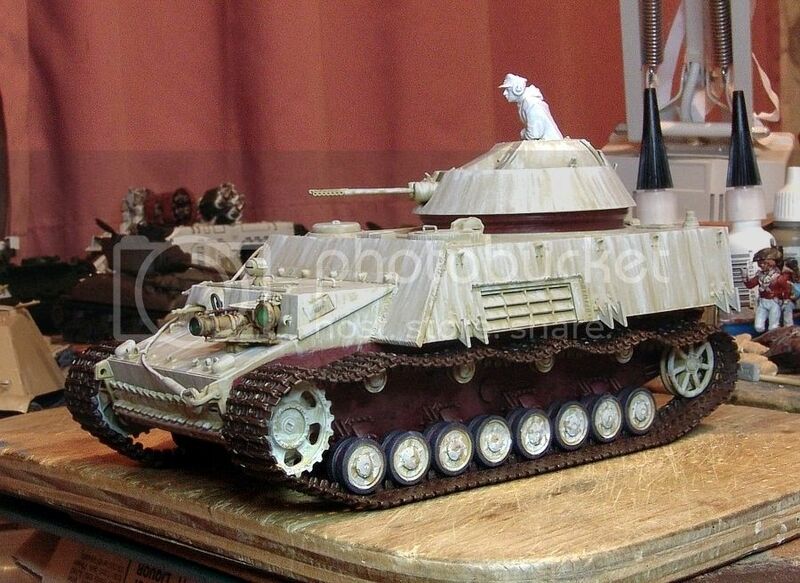 And a ship and Stug that were started around the same time frame. 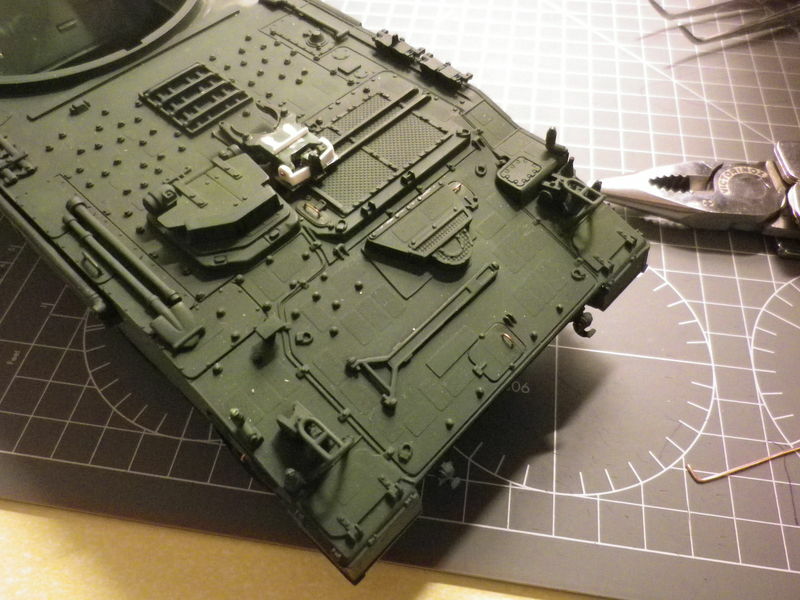 I guess this kit was made with parts from Vorpazer with added parts for this version, but instructions are so messed up (or maybe it's just me) that I soon lost the will for it. 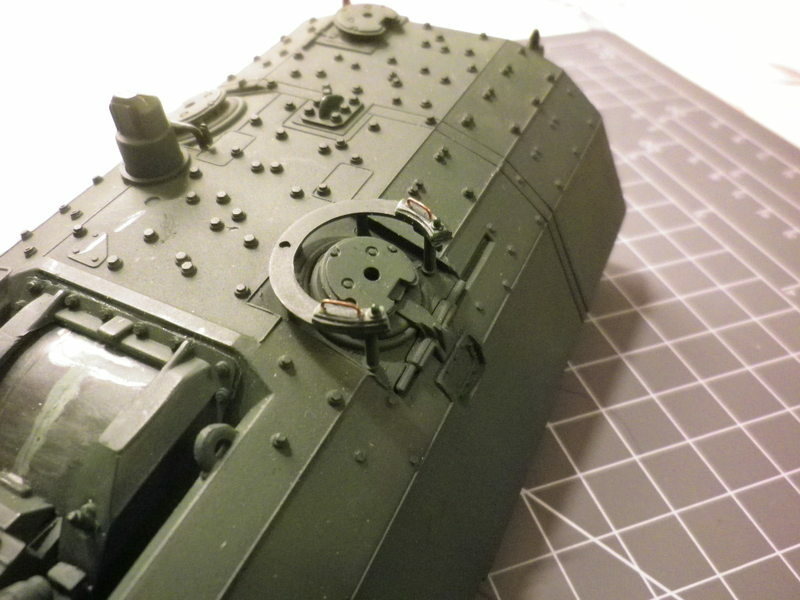 I managed to do the interior of the cupola and gave the outside of it a few coats of Vallejo panzergray primer (at that time I was in the process of switching from enamels to Vallejo acrylics). 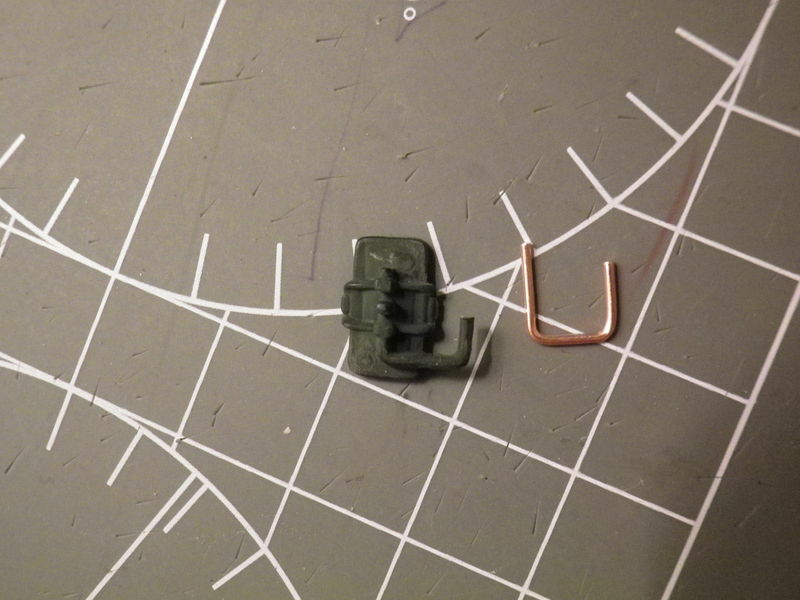 I gave up from provided PE tool clamps, tried to do them but had no luck. 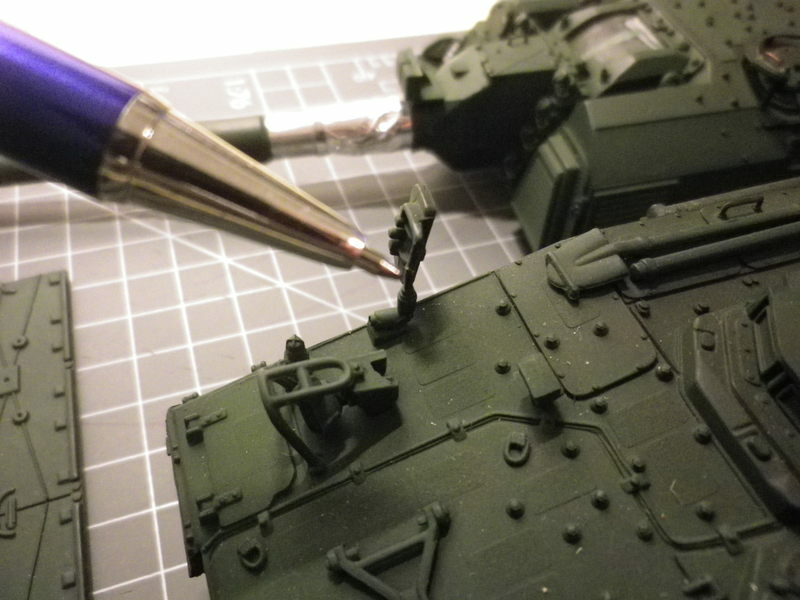 They were simply too small for me to bend them in shape with just Tamiya PE bending pliers. Also, the jack is supposed to be attached to hull with PE only, but it was to wide for it so I decided to leave just the PE mount. Do I have to say that PE ladder was a nightmare also? Anyway, here's where it is now and we'll see how will it turn out at the end. And here is a peek at the one that is collecting dust for more than a year now below my desk and begging me to deal with it again... Famo with trailer. Yes, this is the right place....just don't forget to register on the Campaigns page. Great to see so many started and some lovely work already. Unfortunatly I'm haveing broadband issues with my provider so posts from me will be scarce for a few days. 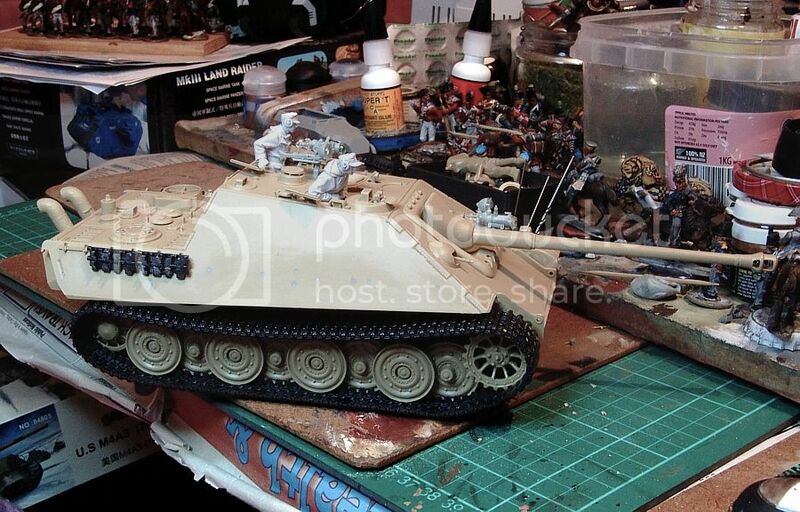 The Academy Stug was started by my son about 5 - 6 years ago, before college and marriage. 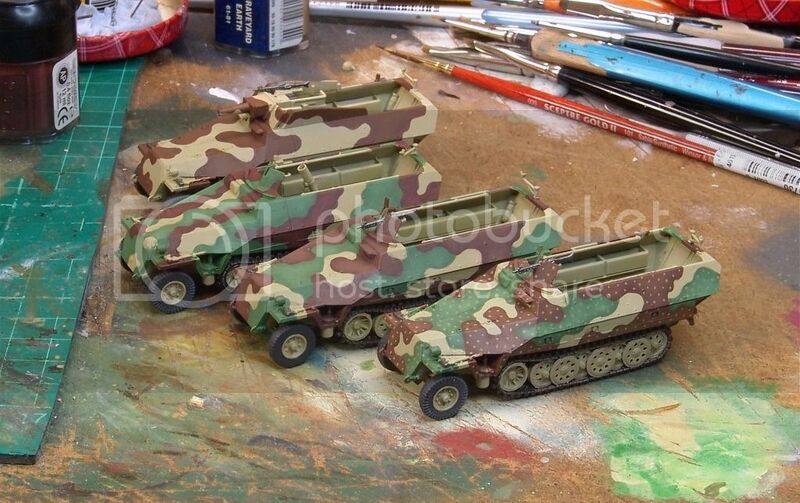 The 2 Old Airfix figures I started over 2 years ago and just place aside for some reason or another. 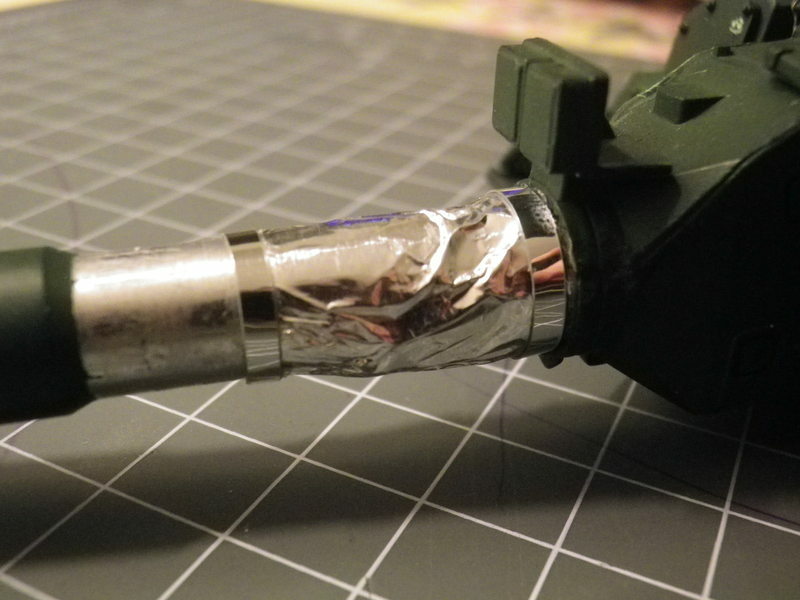 Viktor, what did you use for the smoke discharger chains? Is that from a PE set or some kind of wire? 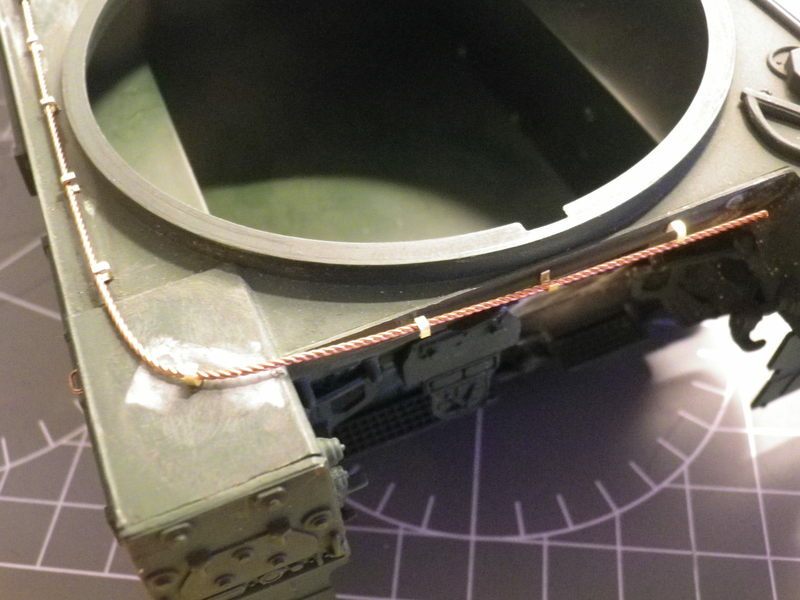 I read articles that mention electrical wire (like from a lamp) but just haven't gotten to the store to grab some, and unfortunately I don't have any lamps the wife would let me start cutting up. This Kitty will hopefully be built in this campaign. 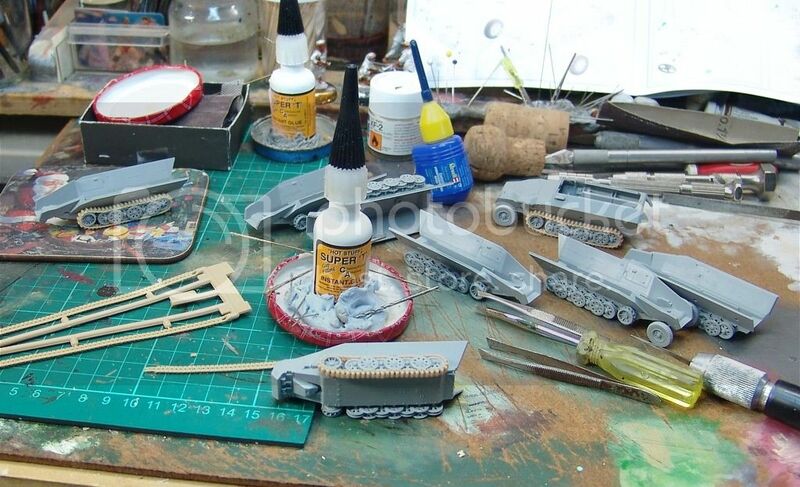 She has been a shelf queen, which, until recently, was destined to be used for spare parts for a Dragon Tiger 1. 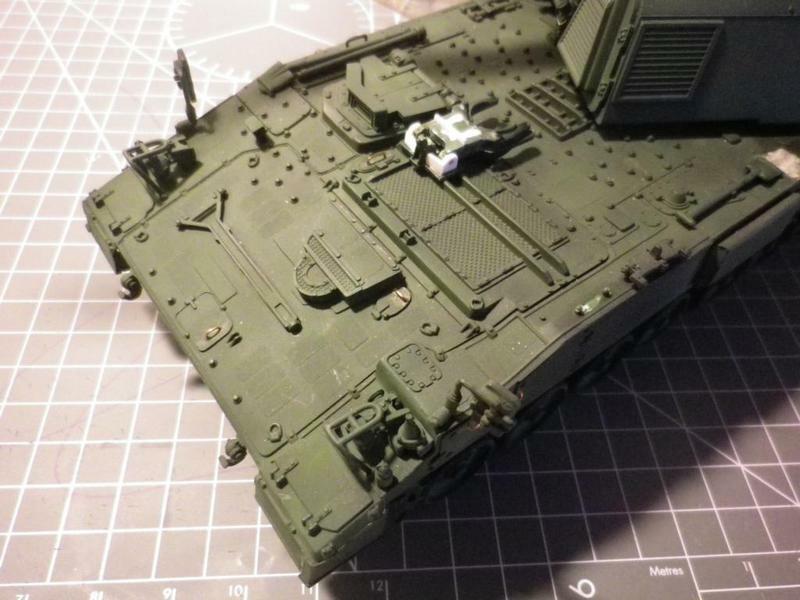 Progress - tracks went on the halftracks yesterday and I've started assembling the upper hulls. 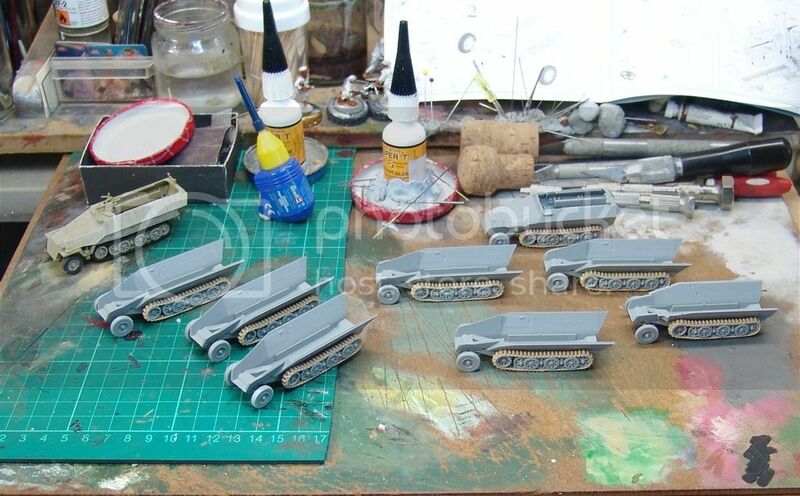 The first 4 halftracks are moving along, lining and shading next. 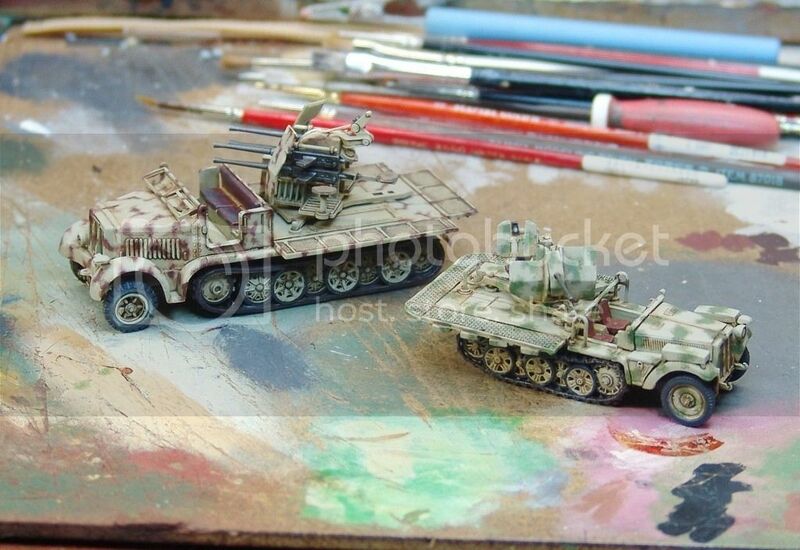 Also almost the 2 AA halftracks left over from the same job, an ACE SdKfz10/2 and a Hasegawa SdKfz7/1. 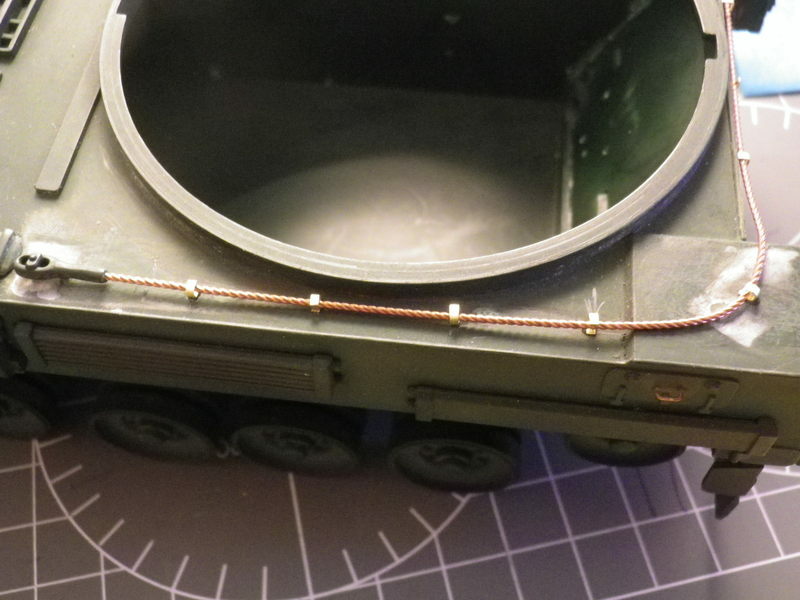 I need to finish my scratch built 1/35th scale project WWII/Korean War M23 ammo trailer. It has been languishing for over a year and there is nothing to it but to do it! 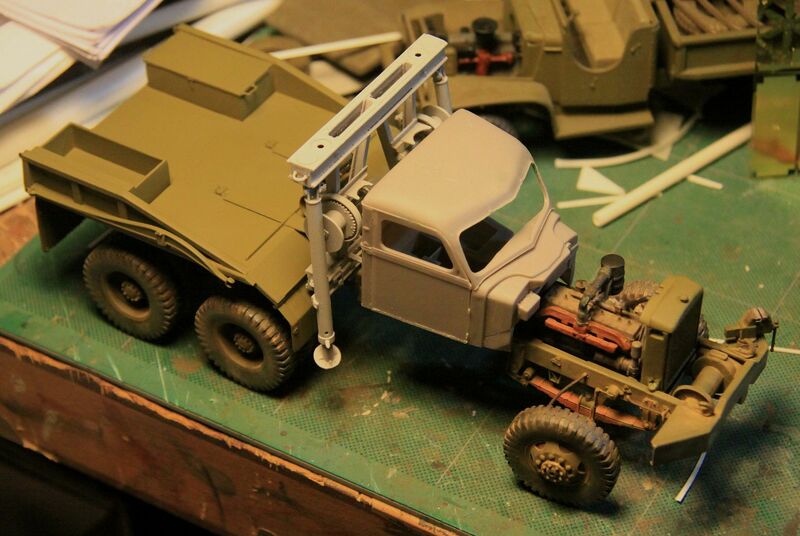 An alternate might be my hard cab Diamond T Wrecker. My 3 year old grandson is really taken with this one and keeps pointing to it on my work bench and saying, "paw paw you need to finish that one". The hold up was that I was trying to figure out how to make the booms positionable but I have been stumped on that one! I would like to be able to swing them to the sides to show how they could be used separately without having to permanently position them that way. Nice builds, so far On the "enlist" button, that's caught me out a couple of times. If you go back to the page I think you'll find it thinks you're not logged in. Log in and the enlist button will magically appear ..... no idea why it's working like that but it has done for some time now. Looking fwd to seeing those big guys finished this year . 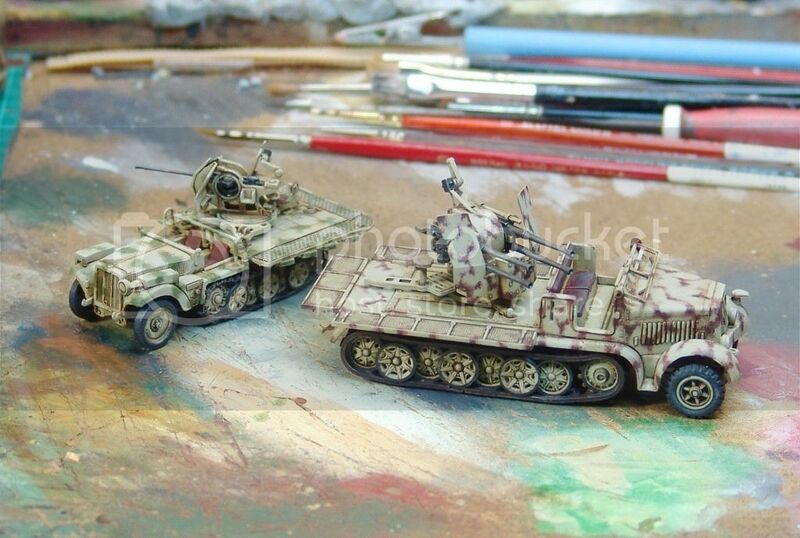 . .
And pushed on early this morning with the halftracks. They (and the Panthers being built in the campaign) have to be finished this weekend so I'm putting in a few extra hours. Thanks Brent - it took two tries but I am now signed up for the campaign! Current status on the "T". 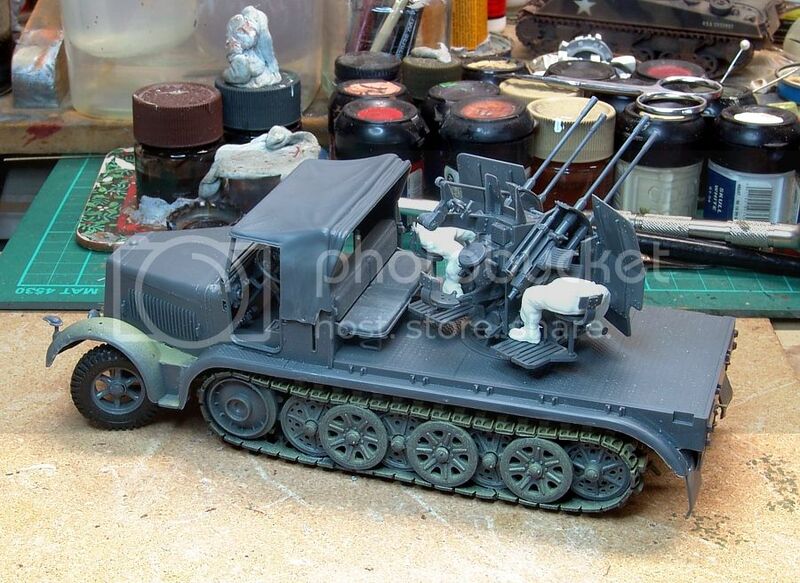 All I have done beyond what you see here is paint the hood! 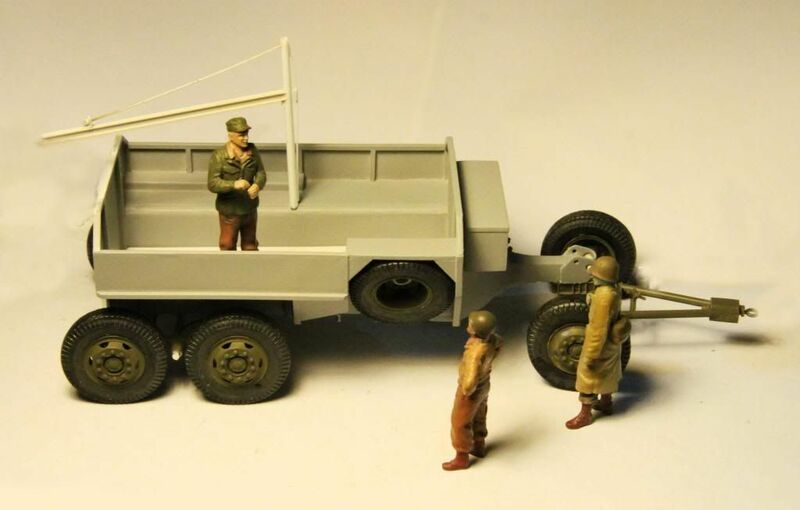 Also considering converting a "T" to a dump truck by scratch building a load bed. However now I hear that Mirror might decide to offer a dump truck sometime mid-year! 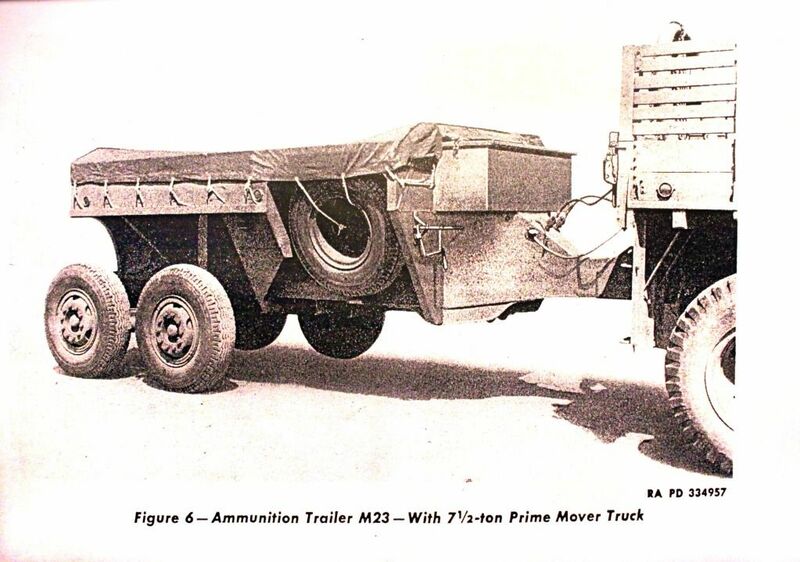 I have a soft spot for military construction and recovery equipment so I think that sounds GREAT!